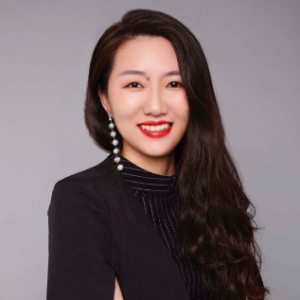 Tree Xu, based out of Wuxi, China, is in charge of the Education First Life Club and Career Advancement Departments in the Eastern Region of China. She is also the Director of Student Experience with Northern Latitude 30. Graduating with a degree in financial management from Nanjing University in China, Tree also served as head of the Student Union. She was a very business-minded individual, although she continued to cultivate her artistic side. Drawing and learning to play Chinese instruments are two of her passions. By combining her logical and sensible sides, she is able to deliver 2 to 3 new educational events per week to create a comfortable English speaking environment for over 10,000 Chinese students, offering them opportunities to be able to use their English in real life situations. Tree has also taken students on many other immersion experiences including learning how to fly an aircraft; skydiving in Bali, Indonesia; paragliding off mountains in Southern China; treasure hunting throughout Hong Kong; sailing on Lake Taihu; and camping by the sea during a typhoon. She has also trained students how to be supporting teachers in low-income rural areas with limited access to electricity and students sometimes need to climb mountains for over 2 hours to get to school. Tree has created programs where thousands of Chinese students are able learn how to speak English while also having fun. She claims her favorite song is “Try Everything” by Shakira. Growing up, Tree received much more exposure to Western culture than her parents’ generation. That’s why she embraced both Chinese and Western culture. She spreads English language and culture to her Chinese students and also wants to introduce the unique Chinese culture to the Western world. For that, she partnered with The Zion Group to design the Cultural Clarity Experience in different cities throughout China to give both Chinese and American students the opportunity to become fully immersed in traditional and modern parts of China, and ultimately become Chinese Culture Ambassadors. Tree is a person full of creativity and spirit of exploring with a love of taking in different challenges. She enjoys learning new things every day and describes herself as, “married to studying.” She came up with her own English name, “Tree,” meaning “strong, withstanding, and observant of people as they come and go.” Tree has proven to be an explorer and pioneer in both the fields of education and business.